Marvel released some more info about the upcoming Black Panther standalone film now that production has officially begun, and those tidbits include what appears to be a cast list and an official synopsis. We’re slated to see a number of familiar faces — both expected and not — within the MCU. Of course, we’ll have Chadwick Boseman as our lead, T’Challa/Black Panther. W’Kabi, his friend and confidant, will be played by Daniel Kaluuya, with Angela Bassett as the mother of the new king. Forest Whitaker also appears as elder statesman and ally to the crown, called Zuri. Among Wakanda’s elite Dora Milaje warriors are Lupita Nyong’o and Danai Gurira. The “old enemy” that appears to test his mettle is played by Michael B. Jordan, called N’Jadaka/Killmonger in the film. And appearing as the villainous M’Baku/Man-Ape is actor Winston Duke. Martin Freeman is reprising his role as Everett Ross, the character at the forefront of the attempt to control the Avengers and eliminate Bucky in Captain America: Civil War — this one comes as a bit of a surprise. 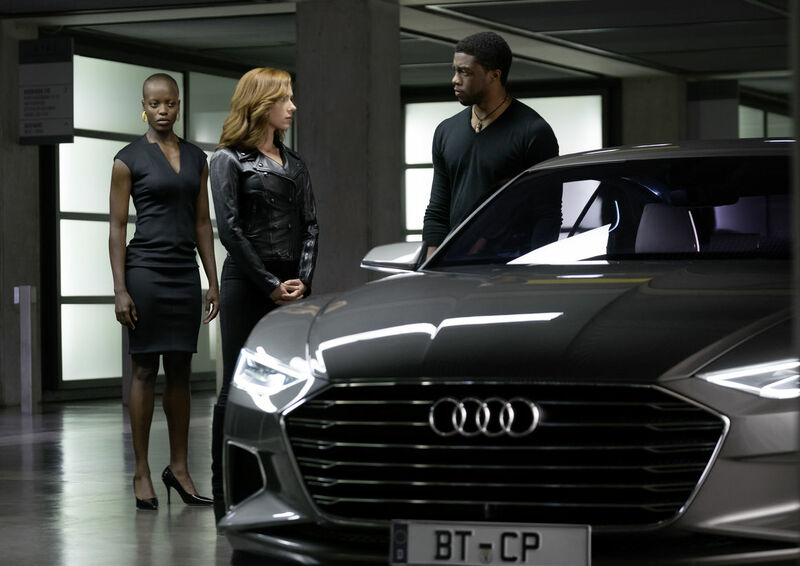 Florence Kasumba also reprises her role as Ayo, the Dora Milaje that threatened Black Widow in Civil War. You might also recall Ulysses Klaw (Andy Serkis), the crude arms dealer that got his arm ripped off by Ultron in Avengers: Age of Ultron, a side character that will somehow make his way into Black Panther as well, no doubt hunting that elusive vibranium the country is known for. Lastly, John Kani will be reprising his role as T’Challa’s father, which — given his untimely death in Civil War — most likely means that Black Panther will feature some manner of flashbacks, especially with all the talk of old enemies and people from T’Challa’s past. Letitia Wright has also been cast for a currently unknown role in the film, but our money is on another member of the Dora Milaje. Currently absent are any and all members of the now splintered Avengers, though Marvel would not likely tell people upfront if Bucky were to thaw or Cap were to show up. We’ll have to wait and see how everything unfolds for T’Challa’s big return to Wakanda when the movie hits theaters February 16, 2018.